Ah, learning to use op-amps and build logic gates with resistors, are we? Ya know you could just use a single quad comparator (e.g. LM339) to construct a window generator that will give you low, high, in-window and out-of-window indications. It's cheaper, uses fewer parts, and works over a wider power supply voltage range. I am a novice trying to put together a Flexiforce pressure sensor activated piezo buzzer. Would it work to tie the sensor to signal and positive side 5v. 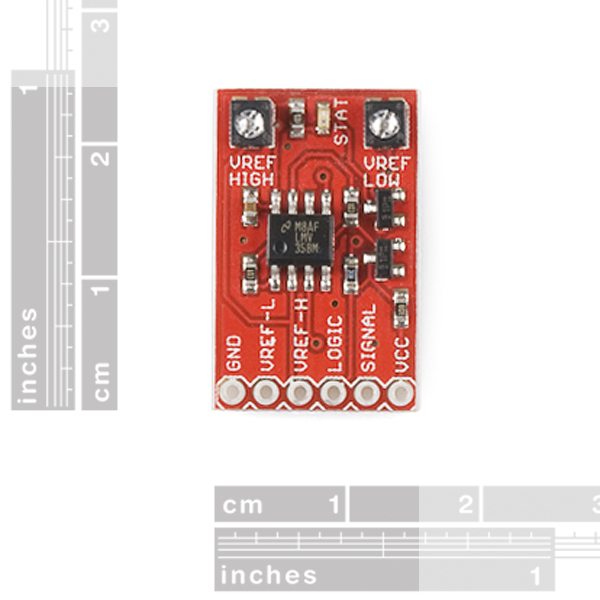 Set VrefH to slightly less than 5v and VrefL to grd. When no pressure applied, voltage across the signal is 5v. No sound. 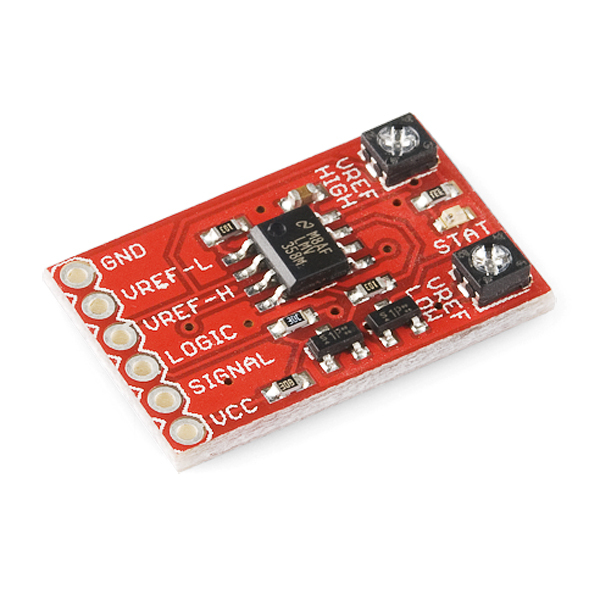 When pressure applied to sensor, voltage drops, logic goes high driving the buzzer with 5v. I received this comparator this week but the output is ALWAYS high no matter what the input is and how the potmeters are turned. Does this mean the comparator is broken or am i missing something? Perhaps they updated it since your reply, but the opamp is an LMV358, a rail-to-rail output version of the venerable LM358. It doesn't really matter though, as the output appears to be buffered by a transistor for logic level. The fact they didn't use an old LM393 is odd, as its faster (its an actual comparator, designed for open loop gain, not closed loop), has the same input specs, and can be powered by > 5V. Does the job though! 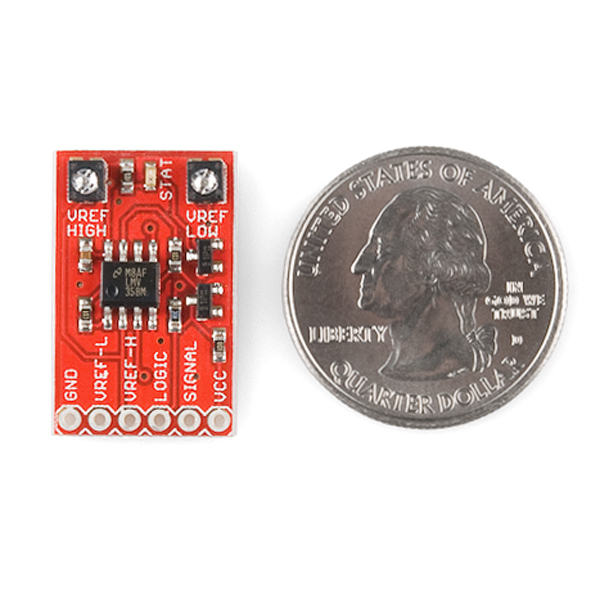 As majority of window voltage events an arduino is likely to measure won't be ultra short. 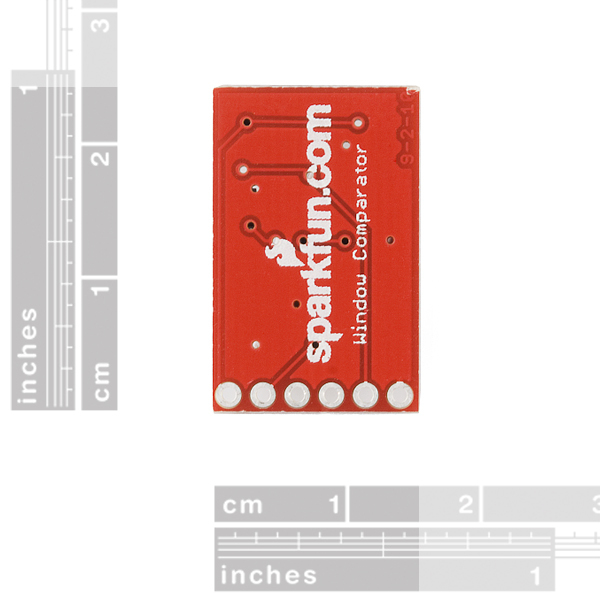 @sparkfun Hey so I have one of these ordered to interface with your mic break out and a lilypad mcu to control ws2801 led string I have... any input on the use of these eg any bumps you can think of? HOW CAN I CONNECT AND AUDIO SIGNAL? Basically I need to detect audio with a microcontroller. I guess connecting a mono audio output one wire to SIGNAL and Ground to GND, may work? Does anyone who has one of these know if you treat vref low as vref high and vica versa, will the logic be inverted??? It will not. If you invert the vrefs, then it will always be out-of-window. Would this still function properly if supplied with just 3.3v? Just get one on my hand, but I have problem to turn the trimpot. Those surface mount trim-pots look very useful, is there a part number or source for them? Sorry, but we don't sell them. They are just a standard 10k SMD trimpot.